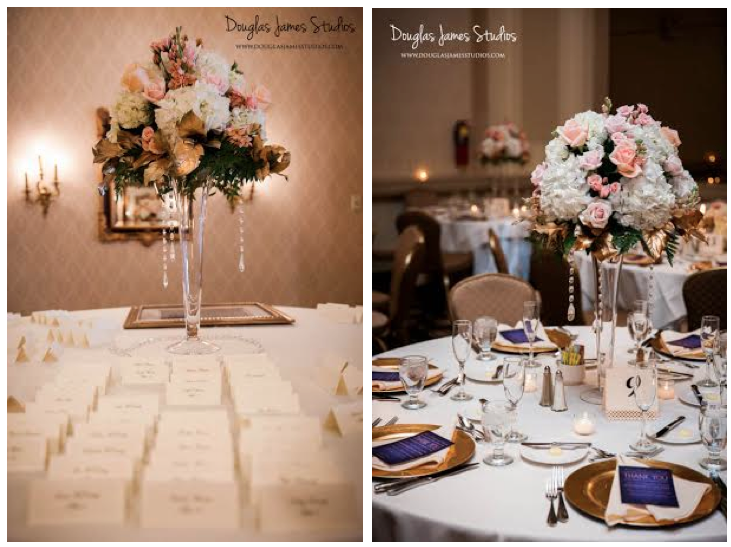 Once again, Hotel Bethlehem provided the beautiful backdrop for this spring time wedding. 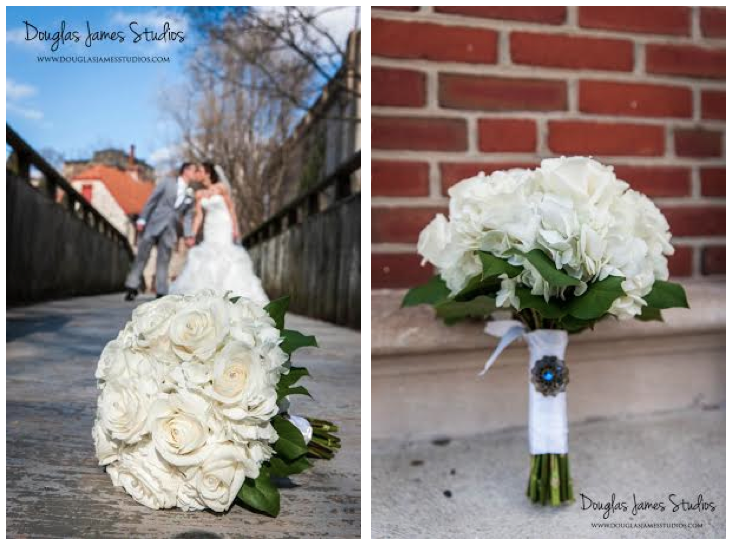 Our gorgeous bride carried an all white bouquet of hydrangea and roses that had pearl pin accents while her bridesmaids carried blush colored bouquets. 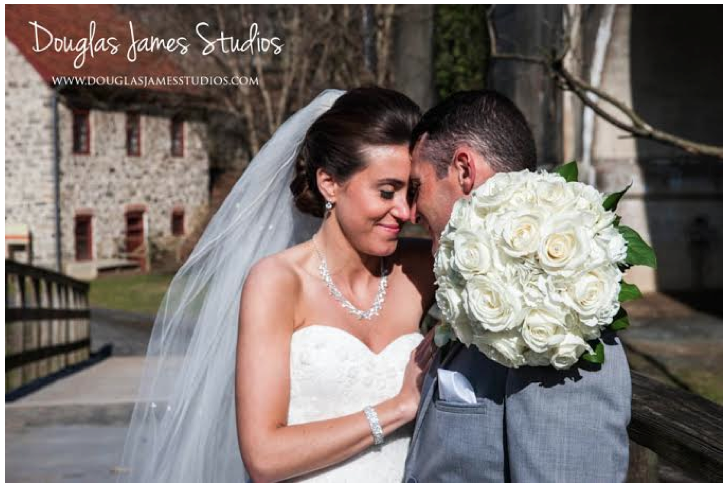 We loved Caitlin’s amazing mermaid dress and her groom had a sleek grey suit. 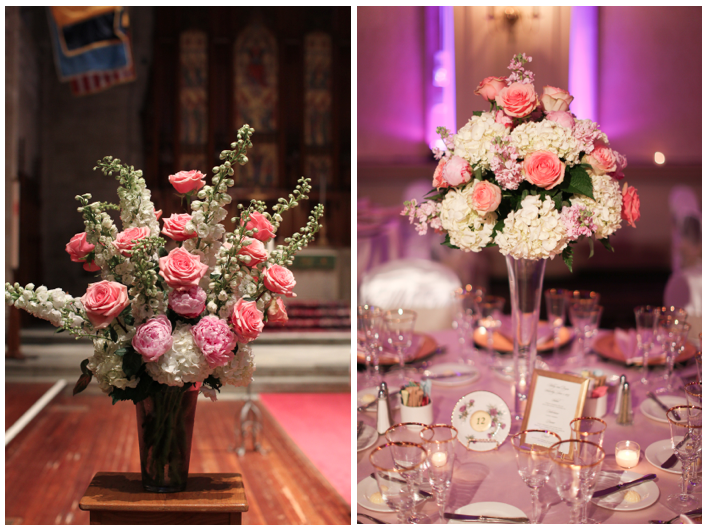 The centerpieces were a mix of tall centerpieces that were in our rental trumpet vases and low centerpieces in clear glass vases with hydrangea, roses, stock, gold salal leaves and with hanging crystals. It was such an honor to be a part of the most important day of your life and we hope you two have an amazing marriage! Do you have one, two or even multiple employees in your office that work their tail off and deserve a little something on the nationally recognized day called Administrative Professional’s Day or Secretary’s Day? 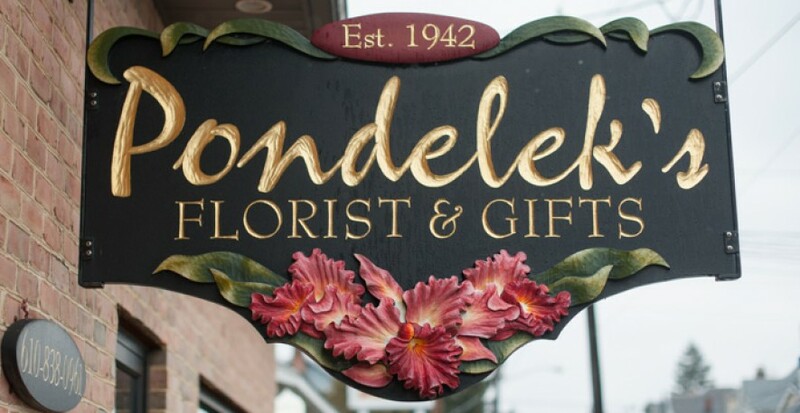 You still have time to order something special for that person from Pondelek’s Florist and Gifts! 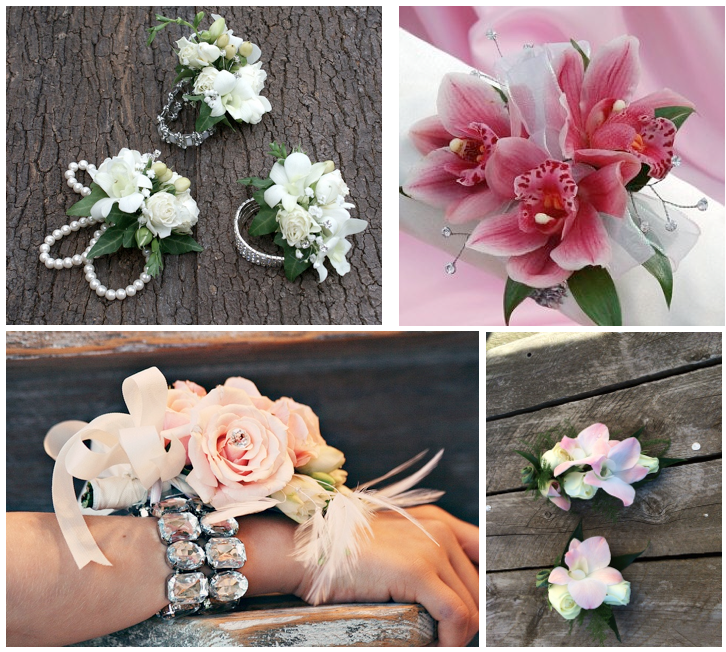 Wednesday, April 23rd is the big day so get your orders in while you can! We deliver throughout Lehigh Valley or you can pop by to pick up your order. 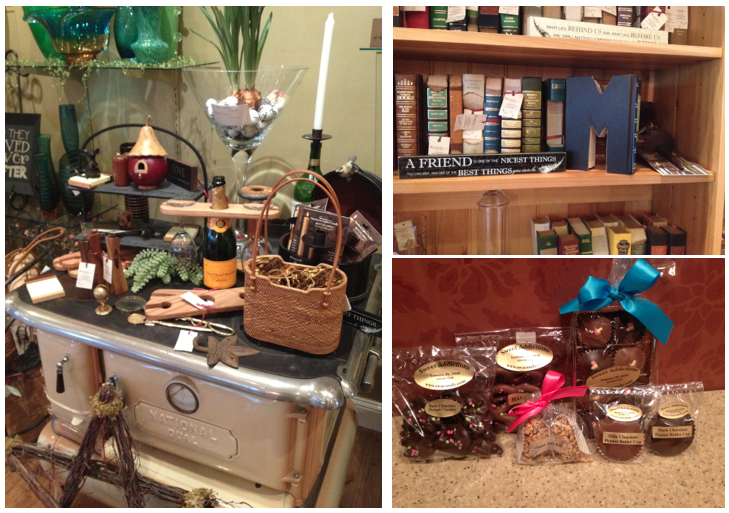 We have a plethora of gifts for you to send to your Administrative Professional. 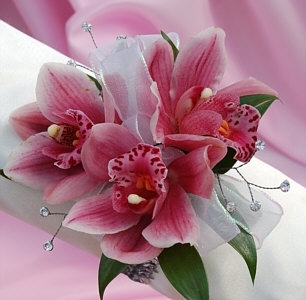 Choose from beautiful and unique miltonia orchid plants that have pansy-like blooms, chocolates from Sweet Addictions Candies, baskets of blooming plants, fresh flower arrangements, gift certificates, tulip plants, candles, bath lotions and soaps and for the person who lacks a green thumb, we have silk arrangements and succulents! 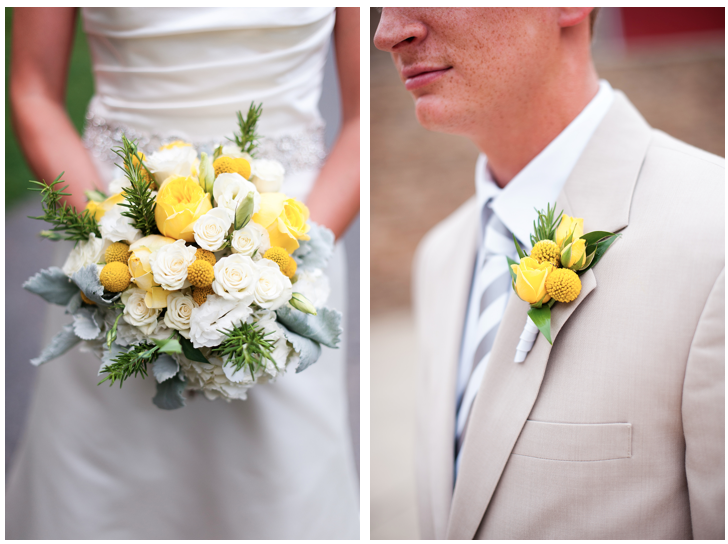 This wedding was a breath of fresh air with the vibrant yellows, touches of rosemary and grey dusty miller. 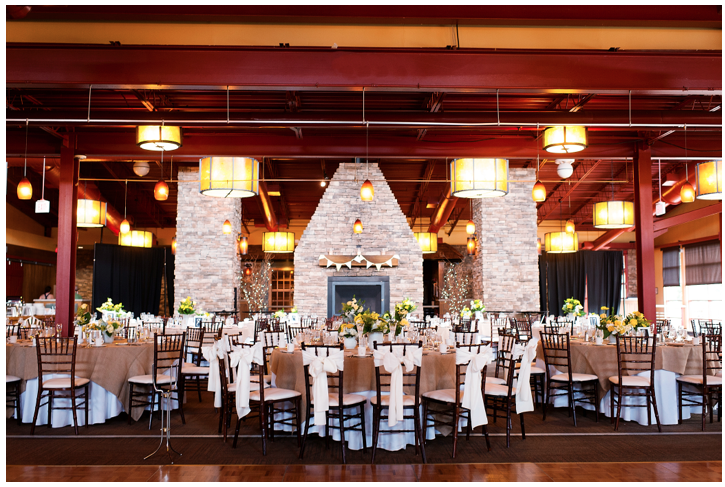 Bear Creek Mountain Resort provided the beautiful atmosphere for Kely and Sam’s wedding day! 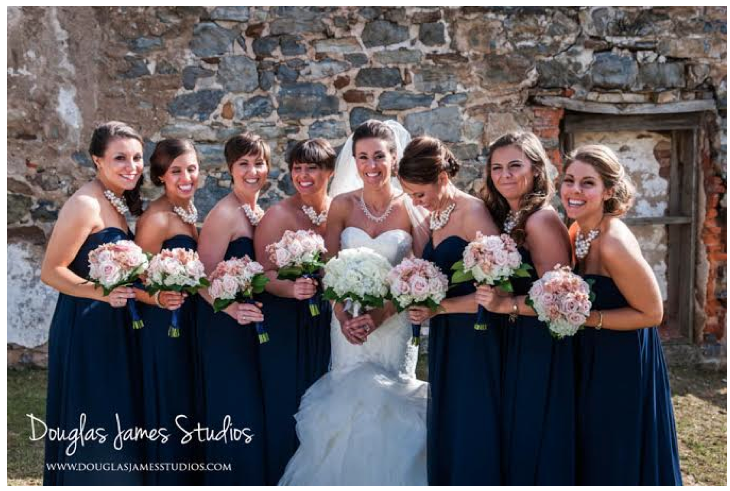 We love the tan suit that Sam wore and the grey bridesmaid dresses were beautiful. 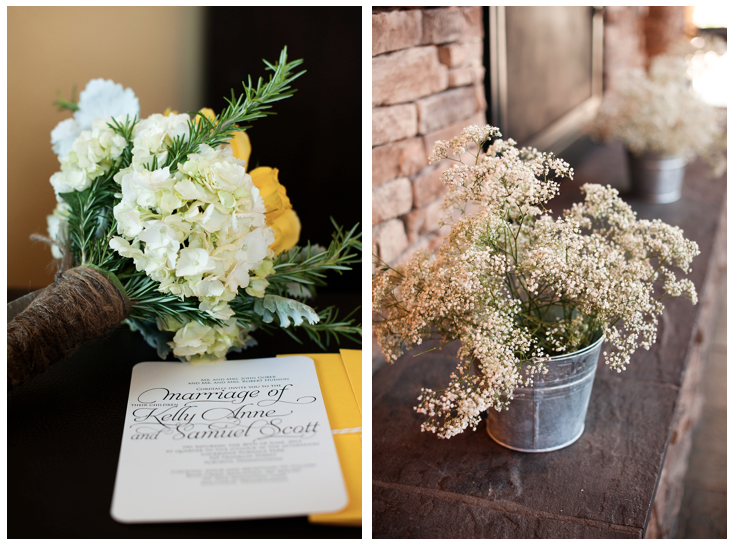 The ceremony took place at Lockridge Park where the center aisle was lined with silver pails of baby’s breath. The bride provided the vintage milk glass vases that we used for centerpieces and the antique suit cases that were used for the place cards. 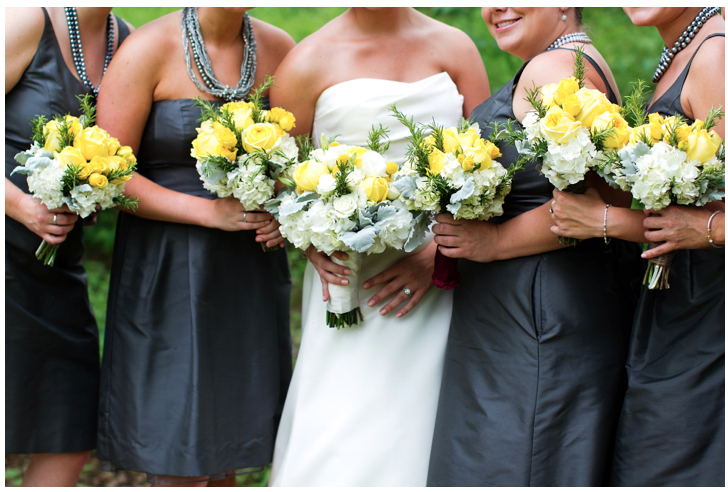 We love the details of this wedding and we were so honored to be a part of it. We wish you two a lifetime of happiness! 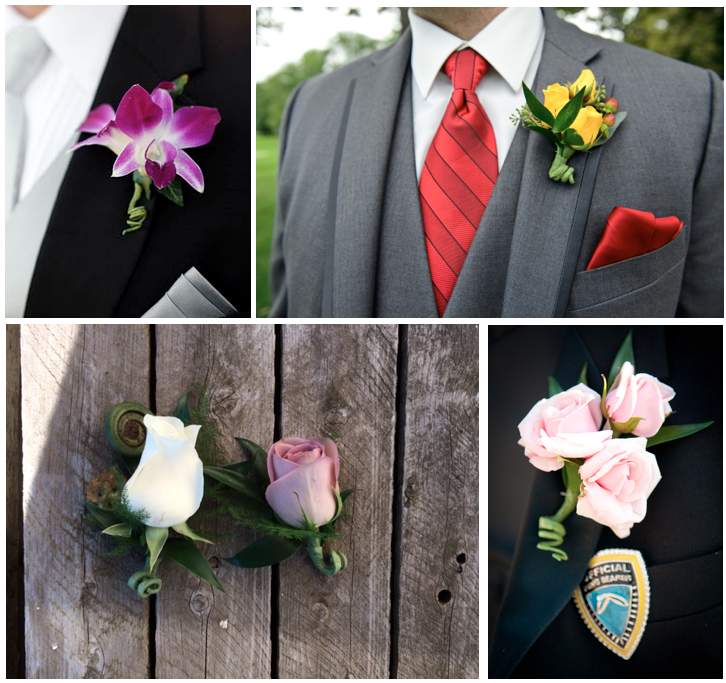 Before you know, it will be time to put on those fancy dresses and sleek suits and of course you will need a stunning corsage or boutonniere for your date. We can help you with you that! 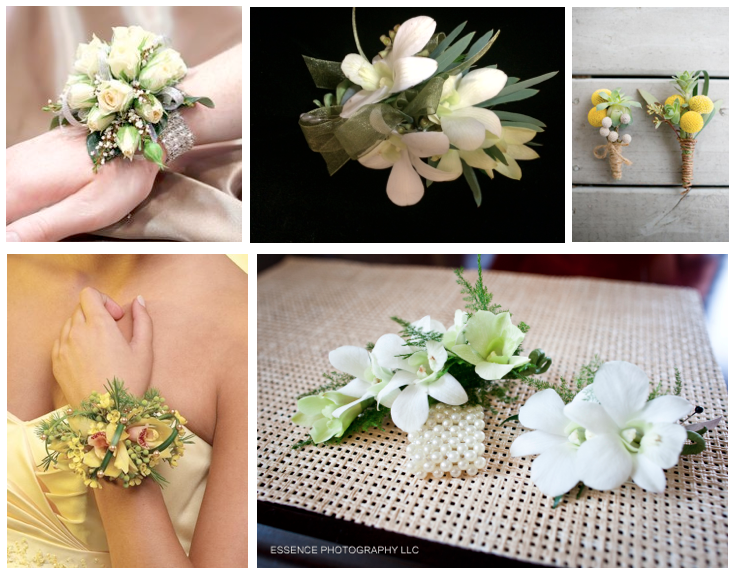 From simple single rose boutonnieres to corsages with vibrant orchids and bling or feathers, we have it all. 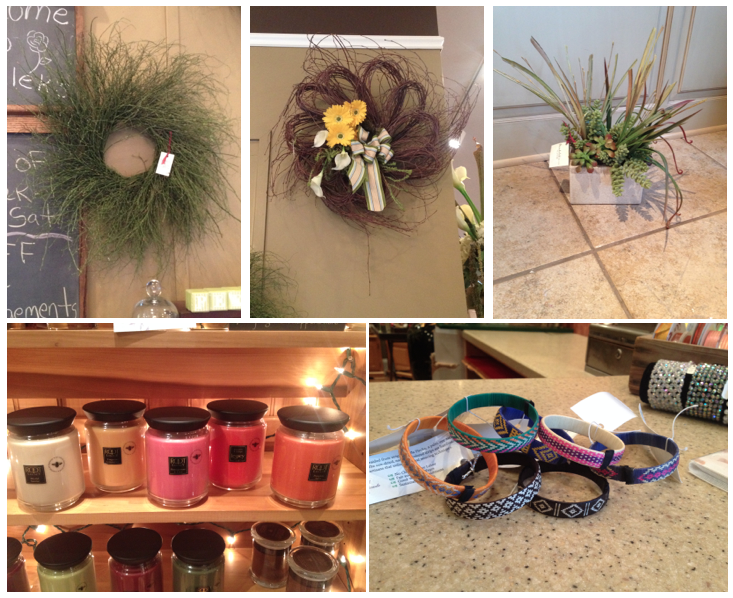 Check out our selection of beautiful bracelets when you stop in! 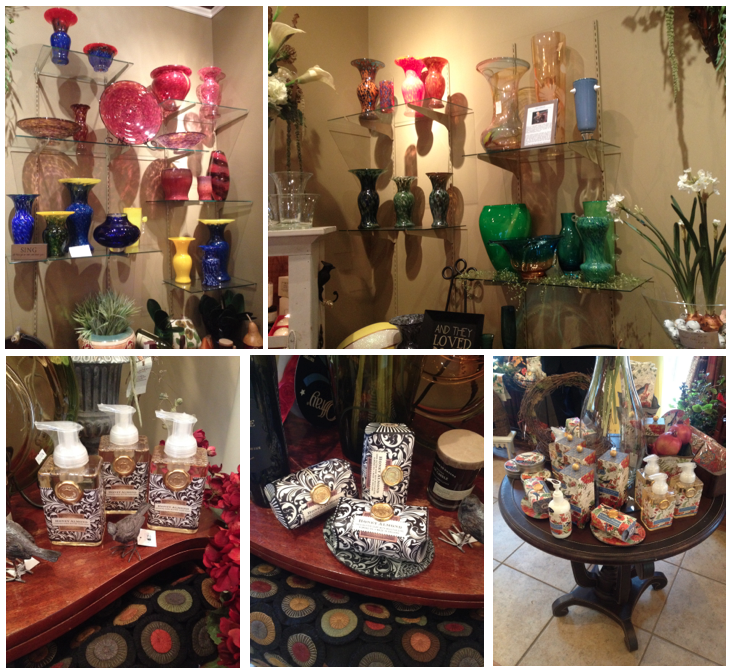 We love working with local businesses and have to give a shout out to C.E. Roth and Jon’s Bridals by Suzanne for providing us with a sample dress and tux for our store. We have coupons for these businesses (C.E.Roth $5 off complete outfit price and Jon’s Bridals 25% off regular priced gowns) and we would love to pass them along! 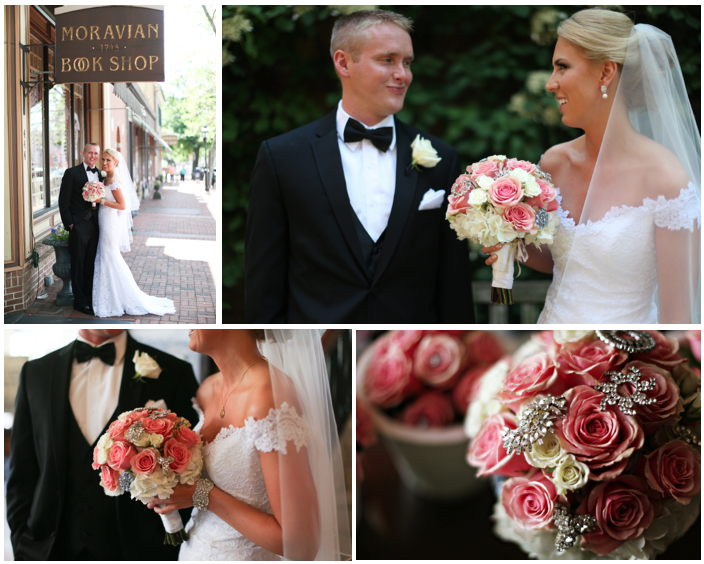 Bryon and Ashley were married at Muhlenberg Chapel in Bethlehem and their reception followed at Hotel Bethlehem. 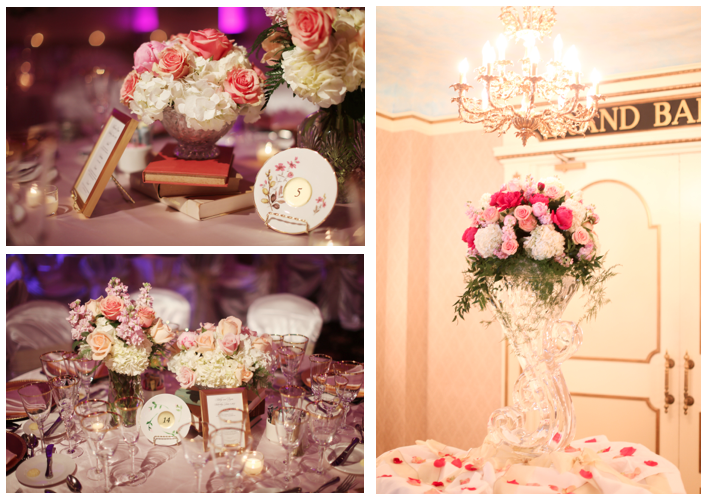 It was the perfect venue for this romantic vintage wedding with soft pink and white florals and great ambiance. 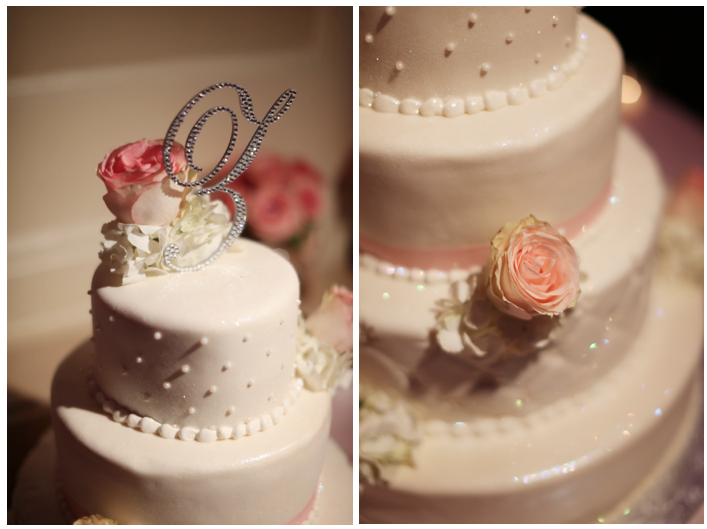 Alison Conklin captured amazing photos of Ashley and Bryon on their special day and Village Bake Shoppe delivered a gorgeous cake that needed a few simple blooms to finish it off. The family provided us with an eclectic assortment of crystal vases that we used for the centerpieces and we added the vintage books for an extra touch. 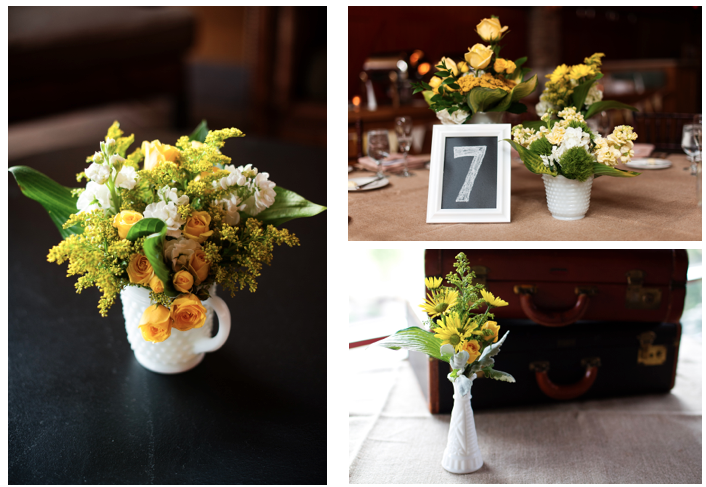 The antique teacups and saucers that were also a family heirloom were used for the table numbers. 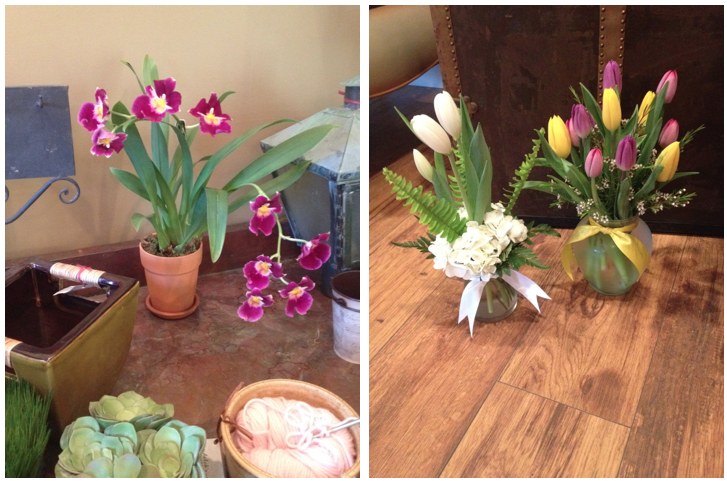 We wish Ashley and Bryon many years of happiness and we thank you for selecting Pondelek’s for all of your floral needs! Ice Sculpture: Ice Concepts Inc.